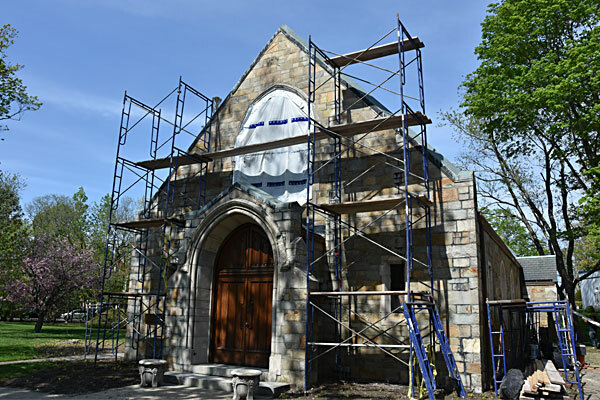 Visitors to the cemetery will notice that the first phase of the Gilman Chapel renovations began in early May. Staging has been set around the building and the roofers have begun repairing leaks and replacing parts of the slate roof. Please note that while Gilman Chapel is being worked on and closed for use, the cemetery is still planning for the Memorial Day Mass which will be on the grounds of the cemetery.